Netflix has revealed that its upcoming young adult drama series The Society from Chris Keyser (Highland Park) and Marc Webb (The Amazing Spider-Man), has landed its lead cast. 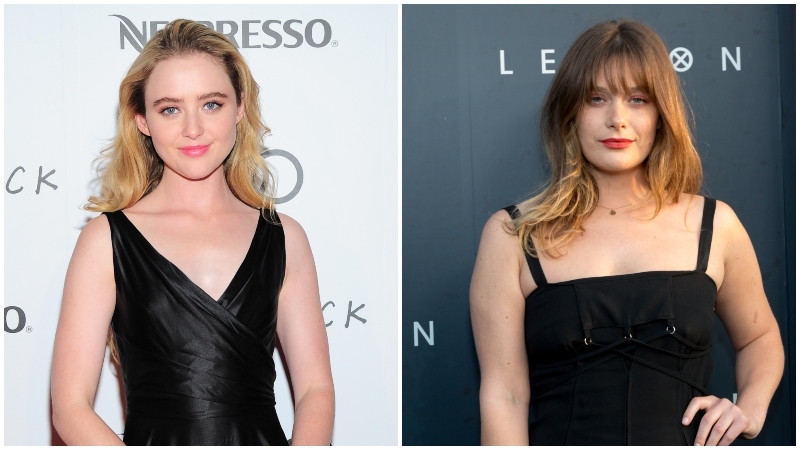 It was previously announced that Kathryn Newton (Big Little Lies, Lady Bird) will star as “Allie,” who has lived her entire life in the shadow of her more remarkable older sister Cassandra. Whatever Allie’s strengths are, she has very little sense of them. Allie inspires her sister to take charge of the group as they are thrust in to the mysterious new world. Joining Newton in the series will be Rachel Keller (Legion, Fargo) in the role of “Cassandra.” She’s popular and the most impressive amongst her peers, and they all know it. A natural leader, she is the longtime rival of Harry. If she has one person she loves most in the world, it’s her sister, Allie. Gideon Adlon (Blockers, Mustang) as “Becca,” who is mature, tough and adventurous, yet always on the outside looking in. She’s the daughter of a single, alcoholic mother and in order to keep the rest of the world at bay, she hides behind her camera, viewing the world with a reporter’s eye. Jacques Colimon (Duat) in the role of “Will.” Will is a foster kid and a true orphan. He’s an outsider in West Ham who finds his natural social disadvantages disappearing in New Ham. Olivia DeJonge (The Visit) as “Elle.” A dancer, she is brittle from living in the obsessive, cruel world of dance. Her fear and uncertainty in this new world leaves her susceptible and vulnerable to those who don’t have her best interest in mind. She will struggle to find her own self in this dangerous frontier. Whether she finds salvation or, like those to whom evil is done, comes to do evil in return, only time will tell. Alex Fitzalan (Slenderman) as “Harry.” The epitome of privilege, he’s handsome, wealthy, ambitious and, in almost every other way, entirely unremarkable. Harry finds himself the leader of the roughly half of the population that would choose to recreate, in the New World, an exact replica of the world they left behind. Kristine Froseth (Sierra Burgess Is A Loser, Apostle) who will play “Kelly,” the Queen Bee of West Ham. She’s smart and has a firm moral compass. But now that the rules have been rewritten, she may well take the opportunity to rewrite herself as well. In doing so, she finds herself torn between the old high school hierarchy and the new world order. Jose Julian (A Better Life, Shameless) as tech wiz “Gordie.” Smart and grounded, he proves to be indispensable in the new world. He secretly pines for Cassandra. When he learns about her health issues, he vows to teach himself basic medicine so he’s prepared should crisis strike. Alex MacNicoll (Transparent, Backseat) will play “Luke,” the high school quarterback, and built like one. His girlfriend pushes him to be a leader, but he’s much more content with being a supporter. Sean Berdy (Switched at Birth) and Toby Wallace (Romper Stomper) will play the roles of “Sam” and “Campbell,” respectively. Sam and Campbell are brothers and cousins to Cassandra and Allie. Sam is sweet, sensitive, and funny. Born deaf, he is painfully aware of the unfair vicissitudes of fate. His brother, Campbell, is a sociopath, insecure and angry at the attention his brother’s “difference” has stolen from him. The upcoming project is different from the female-centric version of the William Golding novel which is being planned as a feature film at Warner Bros. There is no word yet on tentative release times for the series.